A noise-cancelling pillow sounds like a pretty cool idea, right? 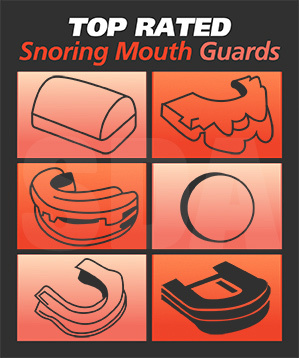 Generally, when we talk about finding snoring solutions, we advocate using products that will treat the causes of snoring… not just the symptoms. But still, with that being said, there are also situations where treating the symptoms can be useful as well… especially if you have a sleeping partner who is being kept awake by your snoring in the interim. And that brings us to this noise-cancelling pillow. A team of researchers from Northern Illinois University has actually created a pillow with some pretty extreme snore-neutralizing capabilities. And some people are hailing it as the ‘end-all’ solution for being kept awake by a snoring partner! What is a noise-cancelling pillow, and how does it work? According to researchers, this pillow is basically packed with speakers and uses adaptive algorithms to help ‘minimize snoring sounds’ much like noise-cancelling headphones do. The idea, of course, is to use this technology in a pillow instead of in headphones, as headphones are not really comfortable or practical to wear while sleeping. The technology behind this product is actually pretty advanced… though the concept is not necessarily a new one. The pillow contains microphones that ‘pick up’ the sounds and frequencies of snoring. These microphones also pick up the ‘ambient frequencies’ in the room as well. The pillow then takes these sounds, runs them through an algorithm, and adjusts the output frequencies/sounds on the fly to ‘cancel out’ the sounds of snoring in the room. Reports indicate that the pillow can help to reduce the loudness of snoring by up to 31 decibels! That may not sound like a lot, but it is actually enough to turn the loud sound of a vacuum cleaner down to the level of a quiet office space. Noise-cancelling headboards have been on the market for a while, and use very similar technology. But this pillow is said to be a lot more effective, and to provide a ‘quiet zone’ that is much closer to the sleeper’s ears. What good would this do? While the pillow is not yet on the market (it is currently still in the concept stage), it could be a promising milestone in the search for anti-snoring products for people who co-sleep with snorers. In a sense, the pillow doesn’t really do much for the snorer. It doesn’t help them to breathe better, does not help them to sleep better, and does not open up their airway to promote healthier breathing. But it does help to keep the volume of their snoring down to a more manageable level… which could do co-sleepers a lot of good. Snoring can actually be a lot harder for partners than people think, especially if it is loud enough to keep one partner awake or drive them to sleep in a different bedroom. Snoring that leaves one of the partners awake and sleep deprived can cause bitterness and tension in a relationship. It can also be damaging to the health of both people. If this pillow hits the market, it will be interesting to see if it works as well as preliminary tests show that it works. If it does, it could be an answer to the snoring problem from the opposite end of the spectrum… because snoring does not just affect the person who is snoring. Of course, we always want to see the root causes of snoring treated if possible… but using a pillow like this, along with an anti-snoring device that also helps to treat the causes of the problem, could be quite effective. Joshua Sigafus is just a writer trying to make the world a better place. He writes extensively about positive living, health, wellness, success, and happiness, and you can check out his daily blog at www.livinginspringfield.net for daily positive vibes and blog posts.